The Smailes family of Craster were hit by double tragedies in the mid 19th century when four brothers were drowned in two separate incidents at sea. Thomas and William Smailes were drowned off Craster on April 14th, 1864 and Robert Smailes and John Smailes on the 26th December 1871. 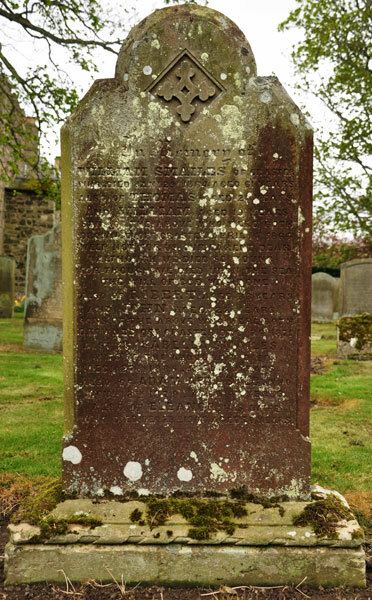 They are remembered on the family gravestone in the churchyard of Holy Trinity in Embleton. who died 29th January 1864 aged 81 (?) years. drowned off Craster April 14th 1864.
drowned off Craster Dec 26th 1871. Dec 27th 1885 aged 83 years......"
They were also remembered in a poem that appears to have been specially written about them. Unfortunately the author of the poem is unknown. 1851 Census The confusion about William's age when he died can be resolved by the 1851 census, where William's age was recorded as 49 years, suggesting that he died aged 63. In 1851 his wife was 47 years old and they had five children at home on the day of the census, Elizabeth, Isabelle, Thomas, William and John. 1861 Census William gave his age as 60 and Isabella 59; at home they had Robert aged 22, Thomas 18, William 16 and John 11. The older boys were all fishermen and John was still at school. 1871 Census Records show Robert, aged 31, married to Eleanor 28, with two children Ralph 3 and Thomas 1. Their mother Isabella, widowed in 1864 when William died, gave her age as 64 and was working as a housekeeper. John was still at home, aged 21, a fisherman. "Subscriptions are respectfully requested in aid of the widows and children of the fishermen drowned at sea, off Craster on the 26th of December. The three men drowned were Robert Simpson, Robert Smailes and John Smailes; the two latter were brothers. The bodies have not been recovered. Robert Simpson has left a widow and 8 children, the eldest a boy 13years old. The widow is near her confinement. Robert Smailes has left a widow and two children, a third is expected very shortly. John Smailes was unmarried; he resided with his mother, a widow, now nearly blind and was her sole support. This poor woman has now lost all her sons, 4 in ??? ?, at sea. All subscriptions received will be placed in Mr Craster's hands who will apply it for the benefit of those who have been so suddenly deprived of their breadwinners, in small weekly payments." The appeal raised 187 pounds 9 shillings and 6 pence.